In the western world, it’s so accessible you almost forget what a miracle it is, flowing out of taps in every building and every city. But in rural northern Tanzania clean water is a precious commodity, and far too many people have limited access to it. Women and girls pay the toll for this life-giving necessity, often trekking hours each way to collect water that may not be safe to drink. The journey is dangerous, leaving them open to possible violence, and it keeps them from pursuing an education, entering the workforce, or otherwise gaining more independence. And of course, at the end of these arduous journeys, the water might be contaminated and result in devastating illnesses. You're making clean water a reality for thousands of Tanzanians. Thanks to your donations, FoTZC has been able to drill six new boreholes in the most remote regions of northern Tanzania. 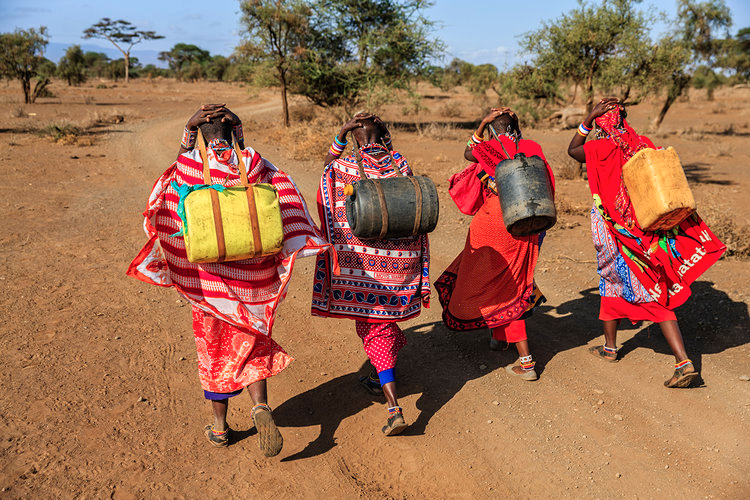 Your generosity has given over 5,000 Maasai—in particular the girls and women previously tasked with water collection—the gift of better health and crucially, time. Time that these women are using to start small businesses and care for their children. Time that the girls can reclaim for schooling and studying. Time spent free from the worry and illness that was robbing them of opportunity every single day. With your continued generosity through www.fotzc.org, we’ll give that gift to thousands more Tanzanians. At a cost of about $40,000 each, boreholes are a significant investment, but they pay huge dividends that ripple through entire communities. That’s why we’re committed to providing two new boreholes each year for the next several years. Thanks to you, this World Water Day is refreshing and bright for thousands of Tanzanians. And with your continued generosity, we can spread that precious gift to countless more.